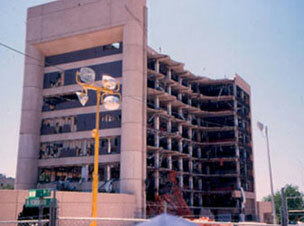 On April 19, 1995, a national tragedy was thrust upon Oklahoma. We acted admirably: we cared for each other and gave what we could to help the rescue and ease the suffering. The world watched. The world was impressed. Then we were faced with the significant task of providing a permanent reminder of the impact of violent terrorism, a legacy to leave for the world. We had an obligation to make an impact on improving society. We did not do well. 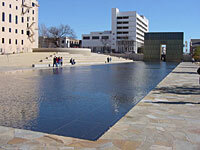 The Oklahoma City National Memorial is an inappropriate design for the site. • Gettysburg and Civil War battlefields, opened years later. • Washington DC: Lincoln's Box at Ford's Theater (outfitted exactly as it was that day) and the apartment house where Lincoln died, opened many years later. • Honolulu: the USS Arizona Memorial, opened 21 years later. • Memphis: Martin Luther King's room at the Loraine Motel (outfitted exactly as it was before he stepped out onto the balcony) reopened 25 years later. 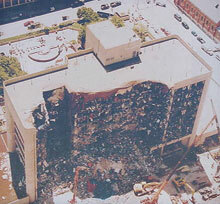 • Dallas: the Sixth Floor in the School Book Depository Building reopened in 1989, 26 years after the tragedy. At the Sixth Floor, the visitor can see exactly where Oswald crouched: the boxes are there that supported his gun, the window is open halfway; the area has been recreated to resemble the way it was in November of 1963. Visitors are able to connect and relate to the tragic event. Imagine going to Dealey Plaza today and finding no Sixth Floor, no School Book Depository, no grassy knoll; but, instead, a nice fountain with different terrain. It might be a pleasant site, but probably not much of an emotional impact. Mandate to clear the site of structures. Competition entrants were told that the site would be cleared. Desecrating a historic site is an irresponsible mistake. Each of the other tragedy host cities mentioned retained historical structures for the visitor to experience. 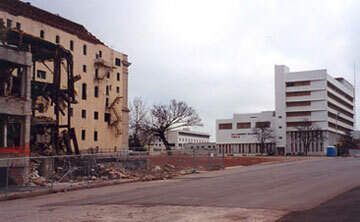 Oklahoma City razed the historic structures on the site, thereby depriving visitors of an impactful experience. Oklahoma City had an obligation to preserve history so others could learn, grieve, and feel the impact of terrorism and violence. 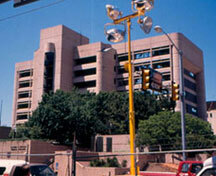 Thousands of Americans have made the pilgrimage to the Federal Building site. The crowds were there for a reason: people need to see and touch, to connect with the reality of the tragedy. It was a mistake to deprive future Americans of that opportunity. People make pilgrimages, for their emotional healing and education, to important historic sites. We preserve the places where history was made, where heroes have fallen, and where we can impact the future. We do those things to help us remember and to make a difference. Competition objectives were not clear. There are two main types of memorials: symbolic and historic. Symbolic memorials are not at the site of their tragedies, such as the Vietnam Memorial (during competition briefings, there were many references to the Vietnam Memorial). They rely on gimmicks to make their impact (black walls, glass chairs, etc.) 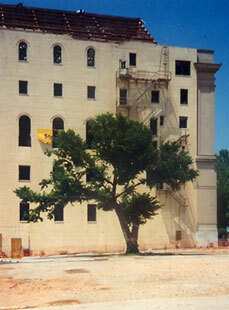 Historic memorials such as Dealey Plaza, the Loraine Motel, and Ford's Theater need no gimmicks. 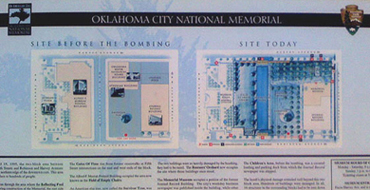 Oklahoma has numerous symbolic bombing memorials: on the capitol grounds and in many towns. What we needed was not another symbolic site but a historic site retaining much of the accuracy of April 19th. The objectives of the memorial should have primarily addressed, and been sensitive to, the historic site (history was truly made here). There is too much emphasis on tombstones for 168 rather than on the emotions of millions. There is not a proper balance among those victimized, the hundreds injured for life, and the millions emotionally impacted. The 168 were random, the millions of grievants and rescue workers chose to be involved, to cry, to care, to feel compassion, grief, and empathy. This is an American tragedy of pain, not limited just to 168. Chairs are not appropriate (not everyone was sitting or even had a chair in one of the buildings). They are cold harsh stone, metal, and glass slabs. The explanation for the chairs is that they represent the empty chair left at the dining table when there is a death in the family. Sort of nice, but it doesn't work here. There must be full chairs at the table for the empty one to make an impact. The gates on Fifth street create an exclusive forbidding barrier. The Memorial should be welcoming and all-inclusive. The 9:01 and 9:03 inscribed on the gates are inappropriate: 9:01 is McVeigh running to his car, 9:03 is destruction and suffering, no rescue efforts, yet. The visitor, who knows 9:02, enters through one of the gates and sees either 9:01 or 9:03. Promotion materials say the gates frame the life-changing events of 9:02. But more life-changing events happened in the days following - these are the heroes that deserved recognition, not the event of 9:02. 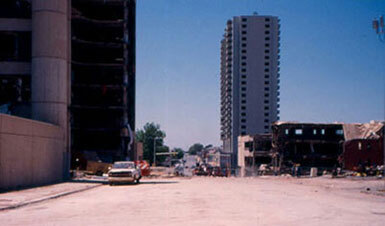 The site has been altered: the terrain, topography, and slope of Fifth street (now a flat pool) does not resemble what is remembered from April of 1995. Not much remains for visitors to relate to. From a written statement by a visitor to the site: "After I walked through the memorial, the first question I had was, 'where had the building stood?' I have been to several monuments and memorials across America and each one conveys an emotion or loss or message. The memorial here doesn't. I felt it to be impersonal and boring." 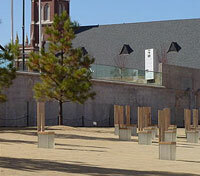 The memorial is not integrated into the fabric of the city. 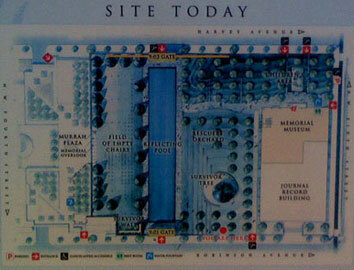 It ignores the existing Murrah building plaza, even turns its back to it, by not including it in the Memorial. It does not show enough respect for, nor inclusion of, the Folk Memorial begun at the fence by the people in April 1995 and continued dramatically at the site fence since then. The fence memorial was a sincere response that allowed people to participate in their own memorial. It does not pay proper respect to the historic sacred sites where people died. The human hunger is for a tangible interaction to the event of April 19th, not to a gimmick of something that didn't exist then. People make pilgrimages to see historic sites, not abstract symbols. The current memorial would have been great away from the site, but it is inappropriate for the historic site. It doesn't properly respect Fifth street nor the Murrah, Water Resources Board, and Athenium buildings; all sacred sites where lives were lost. Hiroshima Peace Memorial, commonly called the Atomic Bomb Dome or A-Bomb Dome in Japan, is part of the Hiroshima Peace Memorial Park and serves as a memorial to the people who were killed in the atomic bombing of Hiroshima on August 6, 1945. The first nuclear bomb to be used in war detonated almost directly above the dome. 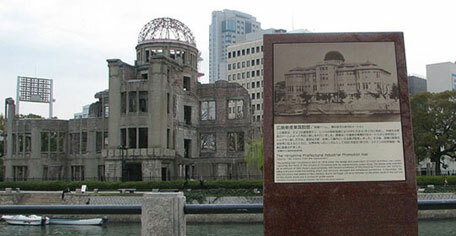 Completed in April 1915, the building was originally scheduled to be demolished, but Hiroshima was rebuilt around the dome. It became a subject of controversy; some locals wanted it torn down, while others wanted to preserve it as a memorial of the bombing. In 1996 the A-bomb Dome was registered on the UNESCO World Heritage List for the Protection of the World Cultural and Natural Heritage. • Temporarily solidified the existing memorial: a weatherproof cover for part of the fence, narrative text, signage, and restroom facilities. • Accepted the existing memorial and waited for emotions to subside and objectivity to set in. • Taken the time to adequately develop an appropriate well thought-out historic memorial. • Determined more appropriate objectives for the design of the memorial: Satisfy the human need to register and connect with a historic emotional event. 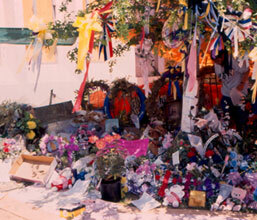 Create a memorable, serene, and dignified destination for people to pay respects. Respect the personal passion, sacrifice, and emotional impact involved. Educate the visitor about the effects of intolerance, terrorism, and extremism. Honor all citizens involved: victims, survivors, donors, and volunteers. Be sensitive to and balance the needs of victims of the bomb and the 200 million victims of media coverage. Make an emotional impact that will influence the visitor's response to terrorism and violence. Represent clearly Fifth street and the Murrah, Water Resources Board, and Athenium buildings. Oklahoma City got a beautifully landscaped and well-crafted new urban park but a very poor memorial to a national tragedy. Visitors are putting coins into the trunk of the Survivor Tree and tossing coins into the reflecting pool (even though both activities are prohibited). This seems to show that people need to connect to the site to make it real. Granted, mistakes were made and the site is currently inappropriate. We should have waited, been more objective, and created more of an impact to show the results of terrorist violence. But we have the memorial as it is and we must now decide what to do that will improve the historic site. Elements could be added to the memorial to enhance its role as a historic site and to increase the impact it can have on visitors. We should now acknowledge that the memorial is a historic sites and we should add elements to emphasize and clarify for the visitor that this had an impact of historic proportions for America. • Outline all three buildings. 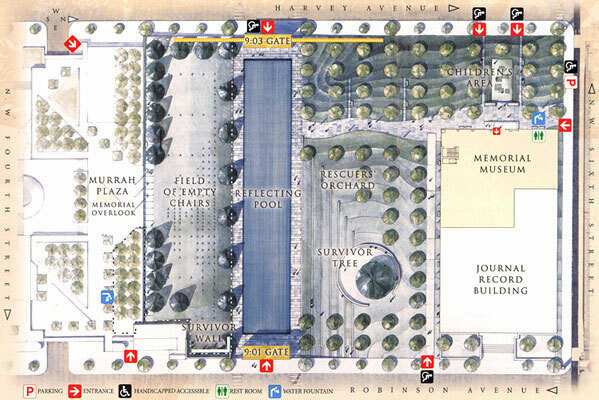 The new memorial site should clearly show the foundation footprints of the Athenian, Water Resources Board, and Murrah buildings. This will provide the necessary connection and relevance to the images in people's minds. 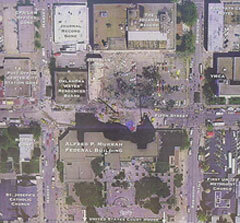 This is what many people come to see - where was the building? • Add text and photographs. Large signboards at each significant site could address the historical site with text and pictures of the way the area looked before April 19th and the way it looked after the bombing. Orient the photos so the viewer can relate to the site then and now. Possible locations for text signs: each of the three buildings, the parking lot, where the Ryder truck was parked, where the identifying axle was found, and the YMCA and its alley. 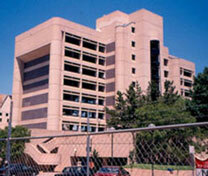 • Move the chain link fence to a more prominent location within the site. Enlarge and possibly erect a covering over the fence. • Add more pedestrian entrances so that the existing gates become secondary entries. 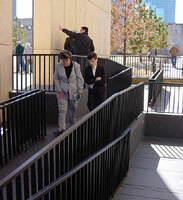 • Build a connecting ramp or staircase from the Murrah Plaza to the Murrah building site to better integrate the two and create a more cohesive setting. 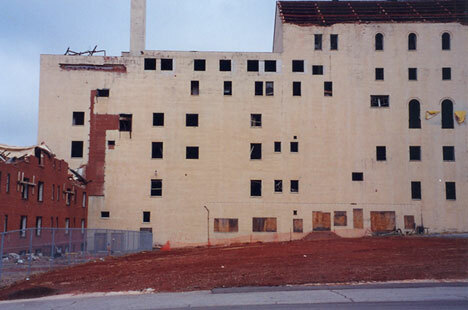 This will also respect the former connection that existed between the plaza and the Murrah building. Our emotional healing and education about the impact of terrorist violence can be impacted with a more appropriate and better designed memorial that will allow Oklahomans, Americans, and global visitors to be challenged and influenced by this site of historic and emotional significance. A better memorial will show the world that Oklahoma continues to perform admirably and that we will always remember the innocent lives lost and the heroic actions of April, 1995. 1. The Memorial is now referred to as the Outdoor Symbolic Memorial in literature, promotions, and on-site graphics. 2. 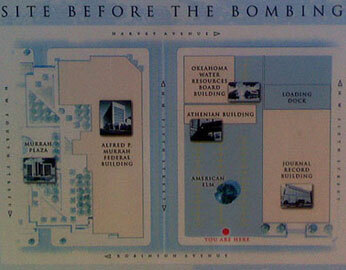 Text and photographs have been added that show the locations of the buildings and other elements of the historic site before the bombing. 3. The Oklahoma National Memorial Marathon has been implemented. 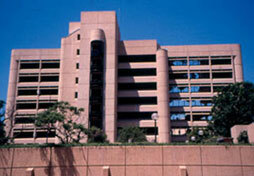 Promotions for the Memorial Marathon mention a day of fun activities. Granted, before the competition begins they do have 168 seconds of silence to remember the victims. But, it is not very respectful. Jim Watson's submission to Memorial Design Competition. 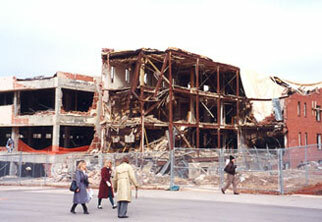 Jim Watson's personal account of the bombing.